May the grace be given to you by God our Father and our Lord Jesus Christ. CAR has experienced many difficult moments in the last three years but the powerful hand of God of Father is always on children. The Evangelical Lutheran Church continues its vital work. Sunday School in EEL-RCA is functioning and active. We would like to give you a summary of Sunday School activities in Baboua. In spite of hard times what our country has known EELRCA and Christian Education organize many activities. 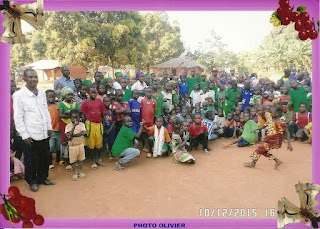 Here are some of the activities in Baboua in 2015. In Parish 1 there are four congregations. The Sunday school children got together on July 18 at Baboua Centre Church. 415 children participated and gave 40,100 cfa (about $62) in offering. On September 13, 380 children gathered at Tongo Church and offered 52,950 cfa (about $81) in offering. 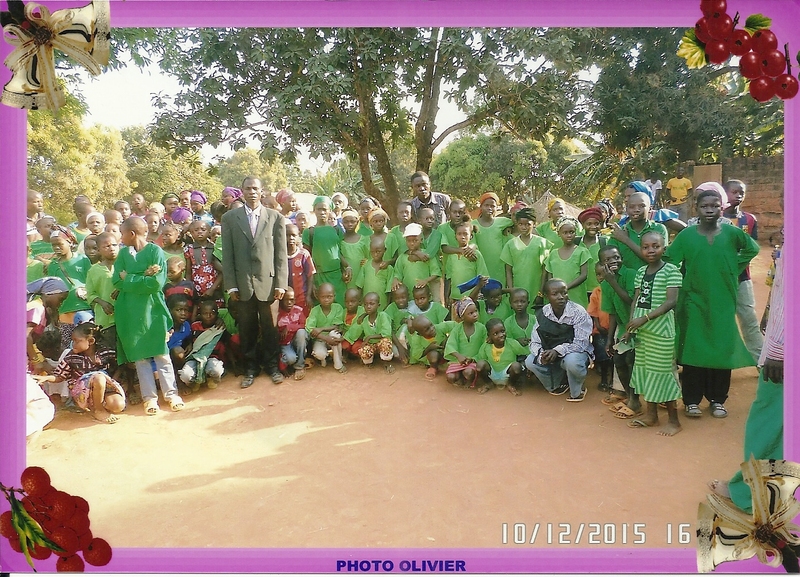 345 children gathered at Sango Church on October 25, 2015 contributing 57,025 cfa (about $88). In Parish 2 there are three congregations that have been active. 255 children participated in activites at Ndiba Church contributing 41,375 (about $64). At Lokoti Yaléwén Church 249 children came to the meeting and contributed 40,125 cfa (about $62) on June 7. On June 6, 272 children met and contributed 57,850 cfa (about $89). The Sunday school closing activity for the year in the Baboua District was a spiritual retreat organized at Baboua Centre Church December 10-11, 2015. The two pictures with this report show some of the children (and assisting adults!) who attended. Awesome, thanks Susan for the report. Looking forward to seeing you this summer. Blessings.